Rates for the apartments (two people each) starting from 60 euros per night. The price indicated includes weekly linen change, final apartment cleaning and all the services provided from the farm (barbecue, swimming pool, heater and wood for the fireplace, wi-fi). Other additional services can be arranged with an additional small fee. For informations, reservations or particular requests (other combinations and packages), please contact us: we will reply as soon as possible and we will find the best solution for your stay! A bicycles and accessories rental service is available for our guests. 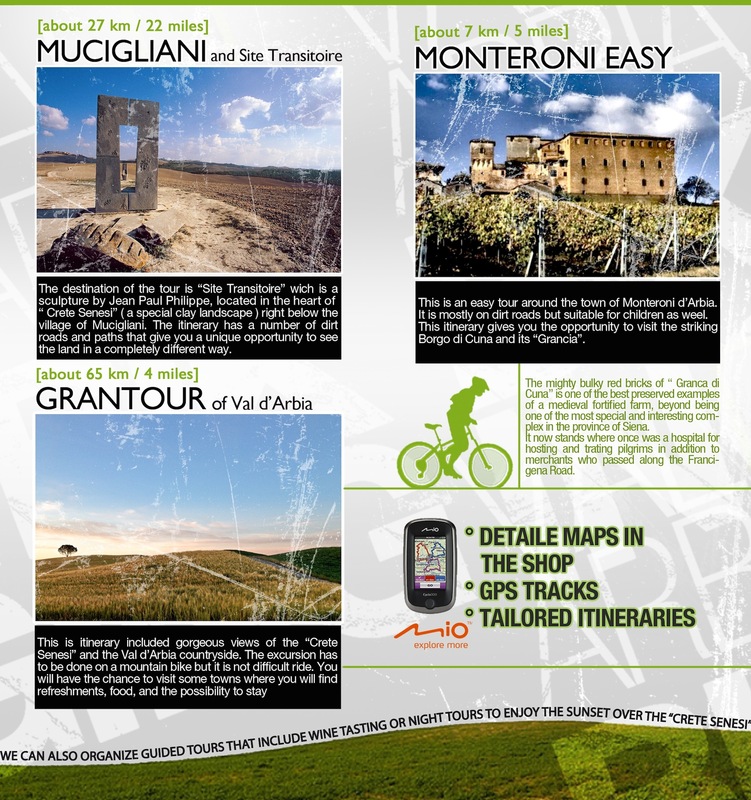 Thanks to the collaboration with cycling lovers, we can also arrange for you Valdarbia and the Crete Senesi cycling tours, to admire the beautiful scenery and relax with a healthy form of ‘slow tourism’.